Originally designed by Andrew Carlisle Johnson, the official flag of Colorado consists of three equally sized stripes of the outer blue stripes separated by the white center stripe and large semi-circular "C" on the flag, filled with a golden disk, which stands for the sunshine enjoyed by the state. Tuff Flags has an impressive lineup of Colorado flags in all possible sizes and material choices. 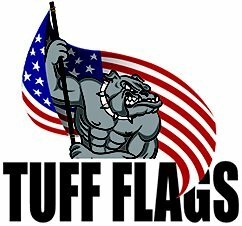 100% made in the USA, our flags are perfect symbols of state pride. Show your team spirit with our officially licensed Colorado Rockies Car Flag, enhance the appearance with a flag display using our pole sets or indoor flags or buy our heavy-duty polyester outdoor flags that will bear the elements! Shop from our complete line of Colorado Flags right away and get the best prices, quick shipping and much more! 100% customer satisfaction guaranteed! Our Colorado flags are crafted in the finest quality materials, constructed with fray resistant stitching, and feature bold, bright, and beautiful colors that will put your state pride on display elegantly. Our flags are available in a range of popular sizes from the handy 3x5 models to an eye popping 8’x12’ models to match your flagpole’s height and location. 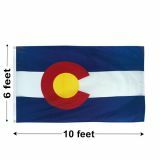 No matter what your flag needs are, we have something special for everyone to celebrate your state pride for Coloradans. Looking for a wave that never stops flying or a model that can withstand the elements or a pretty flag set with all the hardware to make the perfect flag display, we have everything you could ask for and at the most competitive rates. 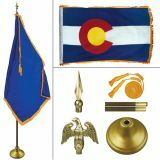 Browse our collection Colorado Flags and choose a model that matches your need. Find it overwhelming? 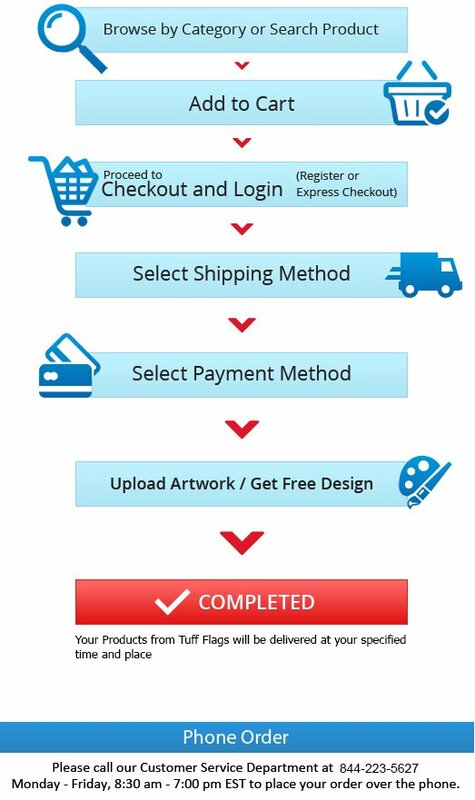 Call us at our toll free number (888) 287-3524 or email us at customercare@tuffflags.com.